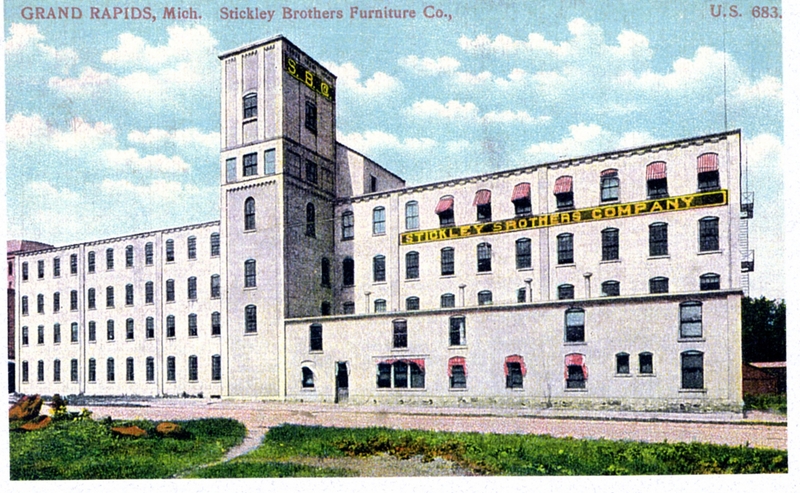 The four-story Stickley Bros. Furniture factory displays the name below windows of the fourth floor. The initials, SBO, are on the tower. The plant closed in 1954. The building has been demolished, but photographs of it can be found in our archives.